Romelu Lukaku and Ross Barkley were on target at Goodison Park as Everton ran home 2-0 winners against West Ham and returned to winning ways. Lukaku nodded home five minutes following the interval before assisting Ross Barkley as he wrapped up proceedings with a clinical strike in the late stages of the match. The Hammers started brighter - highlighted by Pedro Obiang's early chance when he was on the receiving end of some delightful link-up play between Payet and Lanzini. He scampered through one-on-one with Joel Robles however his shot disappointingly blootered over the bar. Everton struggled to mount any real offence in the first half, as the likes of Dimitri Payet took centre stage and looked the far more likelier sides to break the deadlock. Payet's own shot curled narrowly wide, Lanzini left Funes Mori for dead but could only steer his strike over the bar, subsequent to Romelu Lukaku almost capitalising on Gueye's wayward effort however his touch was too heavy and wasted the chance. While Slaven Bilic's side were more authoritative, Adrian's hand was suddenly forced at the hand of Ross Barkley. Full-back Bryan Ovideo whipped in to Barkley, who dropped the shoulder, drilled in an accurate shot but Adrian denied him brilliantly with some excellent reflexes. 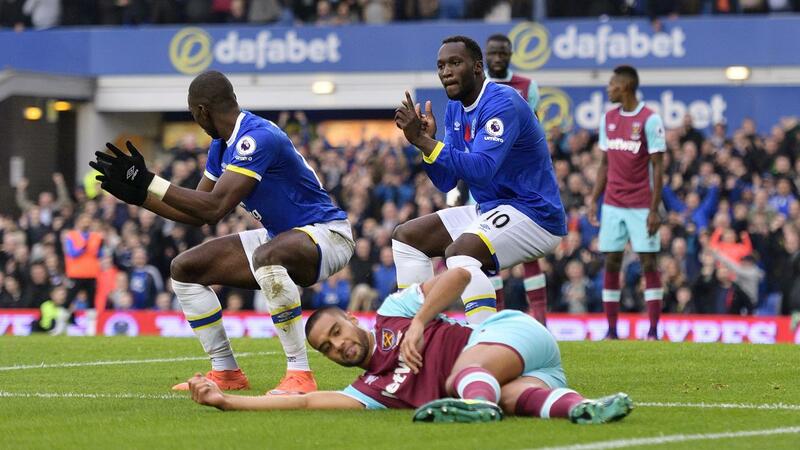 Everton were switched off at the first whistle however woke up as the half progressed and West Ham found themselves lucky to be in a stalemate. Barkley's close range effort took a deflection, while Adrian was called into action once again to tip over a wayward Kevin Mirallas cross which could well have been bizarrely heading for the top corner. 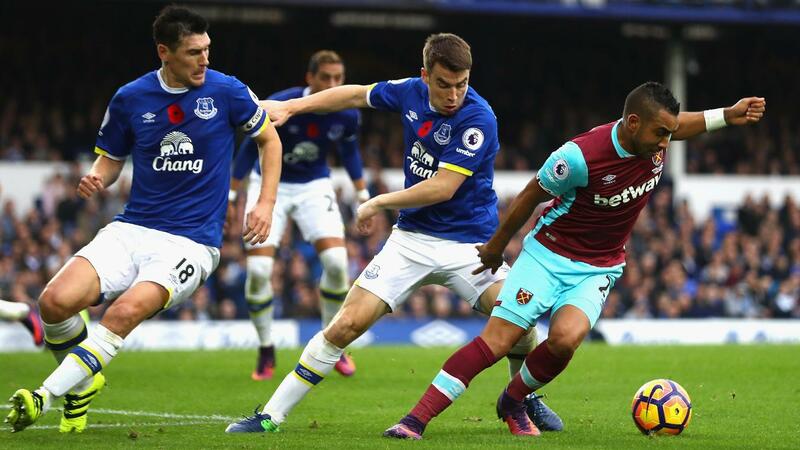 In a lopsided affair with West Ham dominating the opening 20 minutes but Everton largely threatening in the rest, both teams entered the interval locked in a 0-0 stalemate. A fair reflection of the balance of play. In a matter of five minutes, Everton took the lead thrush Romelu Lukaku in peculiar circumstances as Yannick Bolasie prevented Winston Reid from clearing the ball, Lukaku was found unmarked in the area and nodded home with a grounded Adrian unable to cover in time. That was Lukaku's seventh straight goal against West Ham. Pretty impressive record, is it not? West Ham attempted to mount some real offence in reply as Michail Antonio earned a free kick, however tempting Dimitri Payet in but with a blocked first effort and wayward rebound. Moments later, though, Antonio forced Joel Robles into action and he made a sublime save to keep his side ahead. The West Ham man locked horns with Williams - who made a mistake and allowed him to scamper forward - however Robles made a fantastic block to deny Antonio as he came in from the left wing. Michail Antonio was in the think of the action once more - as he then tracked the run of Andre Ayew and allowed the substitute to shoot - but Bryan Oviedo came across and made a key block to snuff out any danger. Mark Noble's curling, sublime strike was tipped around the post by the athletic Joel Robles as the visitors cranked up the heat. But just as soon as West Ham sensed an equaliser, Ross Barkley delightfully put the game to bed to record his second goal of the campaign. Romelu Lukaku scampered down the right flank, held up the ball and eventually crossed to the unmarked Barkley in the area who fired home on the first attempt. The Belgium powerhouse almost made it three - linking up with several attacking options - however his thudding strike off Coleman's cross was firmly blocked by Adrian to retain his side from conceding another. Tom Cleverley latched onto a through ball on the right side of the box, however the advancing Adrian closed down all of the angles and blocked his dismal chipped ball. That miss chance, though, didn't matter in comparison to the others as the final whistle sounded moments later and Ronald Koeman's side returned to winning ways.